What is a Media Showcase in My Family Tree? Why would I need to rename a Media Showcase in My Family Tree? What is an Album in My Family Tree? 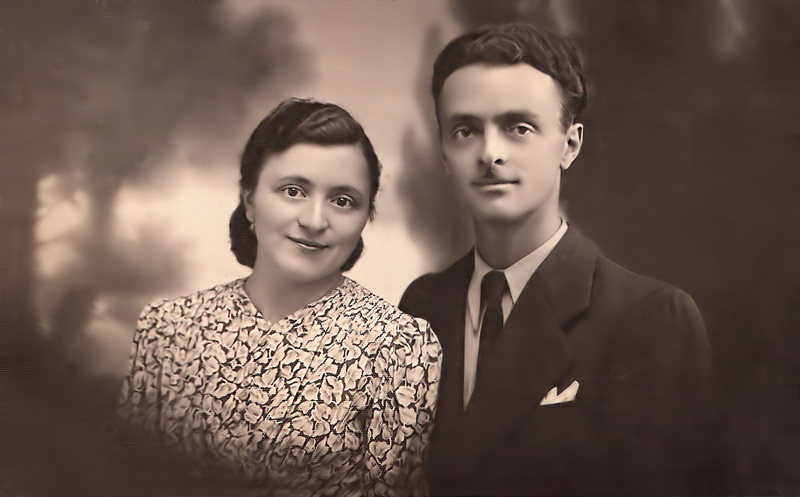 How do I create a new Album in My Family Tree? How do I upload a photo to an Album in My Family Tree? How do I attach a photo, that I uploaded under the old system, to an Album in the new system? How do I embed a YouTube video to an Album in My Family Tree? How do I edit a photo or video in an Album in My Family Tree? How do I delete a photo or video from an Album in My Family Tree? How do I delete an Album in My Family Tree? How do I view the contents of Albums in My Family Tree? How do I show the contents of Albums in My Family Tree to others? 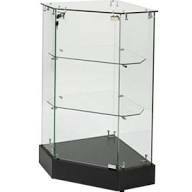 A media showcase is where you keep your photo albums. 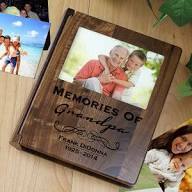 Each individual in your family tree has their own showcase, which can hold several photo albums. 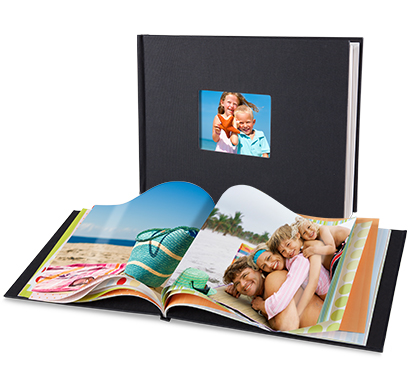 Each family in your family tree also has their own showcase, which can hold several photo albums each with a family theme. To access an individual showcase, click on the individual's first name in your pedigree display and select "Edit" . When the personal vital record information displays (which also shows the individual's albums and their photo/YouTube contents below), click the "Media Albums" icon in the icon menu bar above the personal information. To access a family showcase, click the family surname in your pedigree display and select "Edit" . When the marriage information displays (which also shows the family's albums and their photo/YouTube contents below), click the "Media Albums" icon in the icon menu bar above the marriage information. A showcase name is automatically created for an individual based on the individual's name and his/her birth date the first time that the Media Albums icon is clicked for that individual. Likewise, a showcase name is automatically created for a family based on the names of the husband and wife and their marriage date the first time that the Media Albums icon is clicked for that family. If the vital record information is not fully known at the time of this creation of the showcase name, but later discovered and updated in your family pedigree, then a new Media Showcase will be named, based on the new information, and created when the "Media Albums" icon is clicked. It will then be necessary to transfer all the contents from the old showcase to the newly named showcase by clicking the "Rename this showcase" link at the bottom of the Media Showcase menu and following its directions. 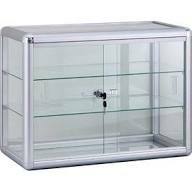 After the contents of the old showcase are transferred, it will be deleted and the contents of the newly created showcase will contain everything that was in the old showcase. 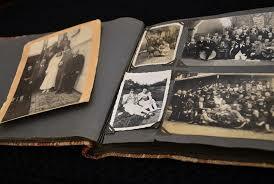 An album in your family tree contains individual and/or family photos along with any embedded YouTube videos. You give the album a name (e.g. "Christmas 1995"). Each album belongs to a specific individual's or family's Media Showcase. That is, you create the album in their showcase and then proceed to add photos and/or embedded YouTube videos into the album. The album you create will belong to a given individual or family and will be subsequently found in their Media Showcase. To create this album, click on the individual's or family's name in the pedigree display and click "Edit" . Then, click the "Media Albums" icon in the icon menu bar above the information. From there, click the link "Create a new album" and follow the directions by entering the name of the new album and clicking "Submit". This takes you to the album menu page, which allows you to add photos and embedded YouTube files to your new album. Beginning with your pedigree display, click the name (first name for an individual or family surname for the family) of the person or family that has an album to which you want to add a new photo; then select "Edit" . When the new screen comes up, click the "Media Albums" icon in the icon menu bar above the personal information. This takes you to the showcase menu screen. Click "Open an album to see your pictures" and select an album. 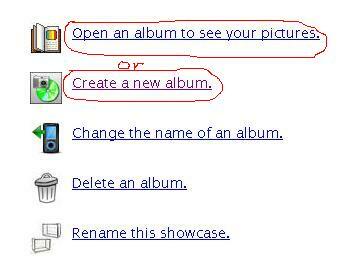 If you have not yet created an album, you will need to click "Create a new album" and follow the directions. You will now be in the album menu screen, which shows all current photos and embedded YouTube videos, that belong to this album, at the top. To upload a new photo to this album, click "Upload a photo to this album" and follow the directions, creating a title and description for the uploaded photo and then select the photo you want to upload and click the "Submit" button. 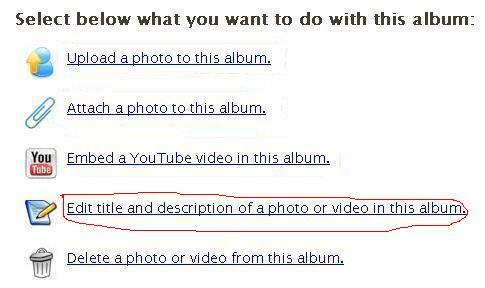 Your newly upload photo will now be in the selected album in the individual's or family's showcase. Beginning with your pedigree display, click the name (first name for an individual or family surname for the family) of the person or family that has an album to which you want to attach a photo from the old system; then select "Edit" . When the new screen comes up, click the "Media Albums" icon in the icon menu bar above the personal information. This takes you to the showcase menu screen. Click "Open an album to see your pictures" and select an album. 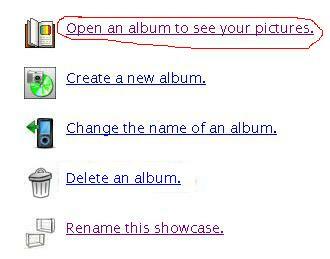 If you have not yet created an album, you will need to click "Create a new album" and follow the directions. You will now be in the album menu screen, which shows all current photos and embedded YouTube videos, that belong to this album, at the top. To attach a photo, that you uploaded under the old system, to this album, click "Attach a photo to this album" and follow the directions, creating a title and description for the attached photo and then select the photo you want to upload by clicking the small circle under the desired photo, and then click the "Submit" button. Your newly attached photo will now be in the selected album in the individual's or family's showcase. Beginning with your pedigree display, click the name (first name for an individual or family surname for the family) of the person or family that has an album to which you want to embed a YouTube video; then select "Edit" . When the new screen comes up, click the "Media Albums" icon in the icon menu bar above the personal information. This takes you to the showcase menu screen. Click "Open an album to see your pictures" and select an album. 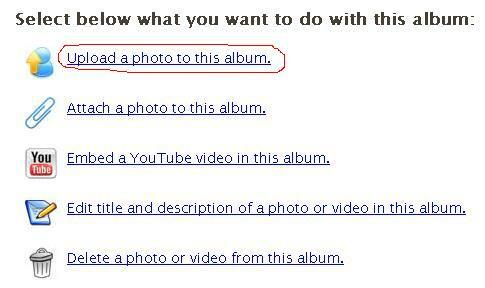 If you have not yet created an album, you will need to click "Create a new album" and follow the directions. You will now be in the album menu screen, which shows all current photos and embedded YouTube videos, that belong to this album, at the top. To embed a new YouTube video, click "Embed a YouTube video in this album" and enter the title and description. Now bring up a new window and go to YouTube. Select the video that you want to embed and then click "Share" below it, followed by "Embed". Copy the code below the "Embed" button and paste it into the YouTube Embed Code field in the album screen; then click "Submit". Your newly embedded YouTube video will now be in the selected album in the individual's or family's showcase. Beginning with your pedigree display, click the name (first name for an individual or family surname for the family) of the person or family that has an album with a photo or YouTube video that you want to edit; then select "Edit" . When the new screen comes up, click the "Media Albums" icon in the icon menu bar above the personal information. This takes you to the showcase menu screen. Click "Open an album to see your pictures" and select an album. You will now be in the album menu screen, which shows all current photos and embedded YouTube videos, that belong to this album, at the top. Now click "Edit title or description of a photo or video in this album" . You will be shown a screen consisting of all your photos and embedded YouTube videos for this album. You can pick which one for which you want to edit the title and/or description. Make the desired changes and click the respective "Submit" button. Your changes are now made. Beginning with your pedigree display, click the name (first name for an individual or family surname for the family) of the person or family that has an album with a photo or YouTube video that you want to delete; then select "Edit" . When the new screen comes up, click the "Media Albums" icon in the icon menu bar above the personal information. This takes you to the showcase menu screen. Click "Open an album to see your pictures" and select an album. You will now be in the album menu screen, which shows all current photos and embedded YouTube videos, that belong to this album, at the top. 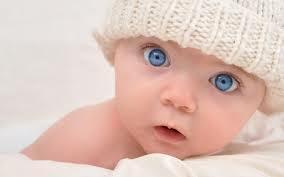 Now click "Delete a photo or video from this album" . Check the one you want to delete and click the respective "Submit" button. 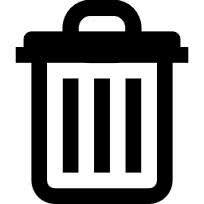 Your deletion has now been made. Beginning with your pedigree display, click the name (first name for an individual or family surname for the family) of the person or family that has an album that you want to delete; then select "Edit" . When the new screen comes up, click the "Media Albums" icon in the icon menu bar above the personal information. This takes you to the showcase menu screen. Click "Delete an album" . 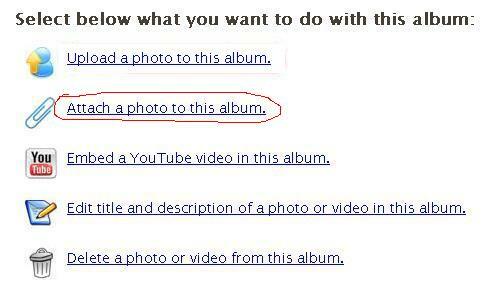 Select the album that you wish to delete and click "Submit". Caution: All contents (photos and embedded YouTube videos) of your album will also be deleted along with your album. Beginning with your pedigree display, click the name (first name for an individual or family surname for the family) of the person or family that has an album whose contents you want to view; then select "Edit" . 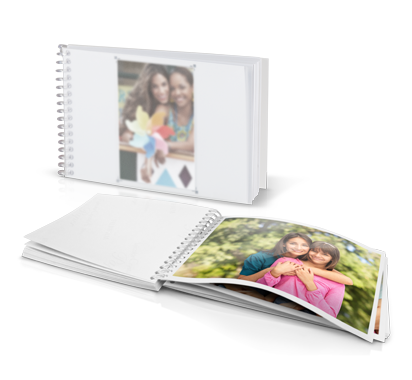 The contents of all your albums for this individual or family will be shown at the bottom of the personal information page. To see just the contents of a single album, click the "Media Albums" icon in the icon menu bar above the personal information. This takes you to the showcase menu screen. 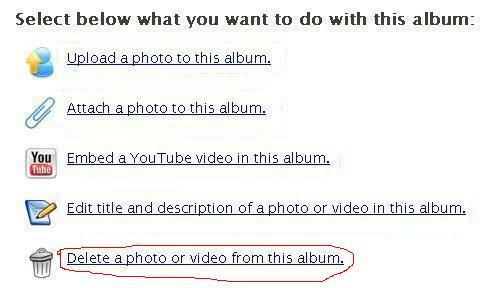 Now click "Open an album to see your pictures" . Select an album if there is more than one. You can now see all the pictures and embedded YouTube videos displayed as thumbnails at the top of the menu page. 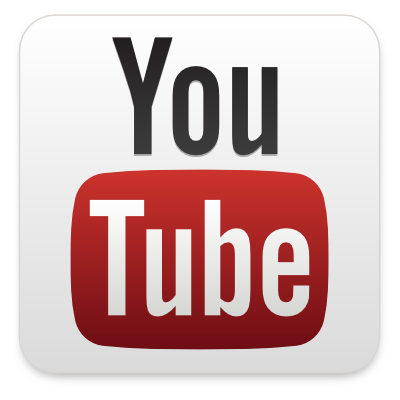 Just click a picture or YouTube icon to see the full picture or actual YouTube video. Since your genealogical information is best kept private, we don't show anything to the general public about people who are living. 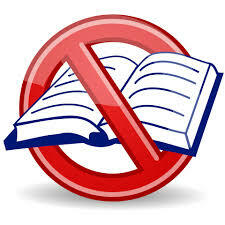 However, we have provided a way for you to make an exception to this rule. For family members and close friends you may want to give them the ability to see your pedigree with all associated pictures. This is done by setting up a family password and then having them login to MyTrees.com with the family password. To set up a family password, login to your account at MyTrees.com. 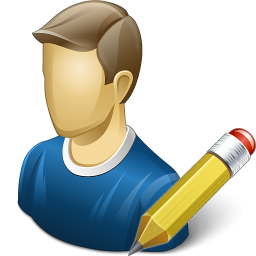 Now, from the main menu bar at the top, select "My Account" and then "Set Family Password". This will bring up your personal information screen. Now set a family password that is different from your own login password that you have as the owner of your account. Once you have set a unique family password, scroll to the bottom and click "Submit". A pop-up screen will then display vital information on that individual or family along with the photo contents of all the albums that belong to that individual's or family's Media Showcase. To see enlarged views of the thumbnails, just have them click on the thumbnail photo. This is an excellent way of selectively showing your pedigree and associated photos to family and close friends, while maintaining your privacy as far as the general populace is concerned.